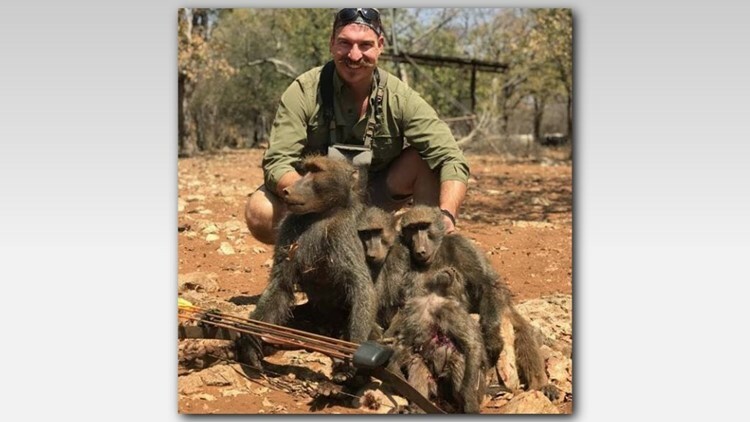 Idaho Fish and Game Commissioner Blake Fischer poses with a family of baboons he shot during a recent hunting trip to Africa. Photos from Blake Fischer show him and his wife posing with animals they killed on a hunting trip to Namibia. BOISE — An Idaho Fish and Game commissioner is facing calls to resign after sharing photos of himself and his wife from a recent hunting trip to Africa. The photos from Commissioner Blake Fischer show him and his wife posing with animals they killed in the country of Namibia. In a public records request, KTVB obtained the email which went out to more than 100 of Fischer's friends and colleagues last month. 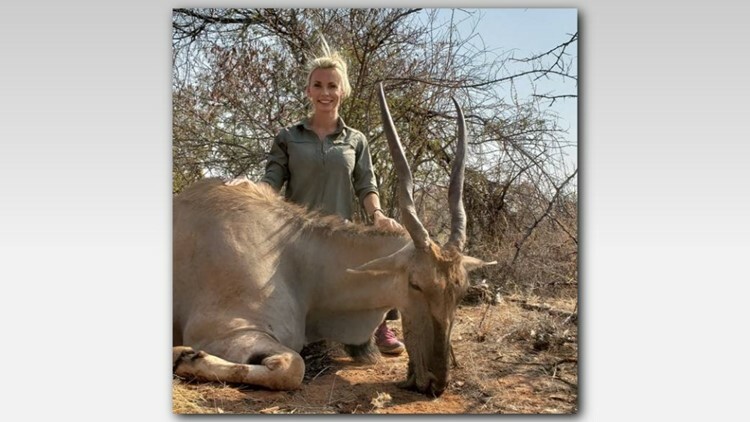 Blake Fischer's wife poses with one of the animals killed during a recent hunting trip to Namibia. Last week, Fred Trevey, a former Fish and Game commissioner, sent an email to Fischer expressing disappointment. Trevey wrote that he was dismayed and disappointed by the photo and accompanying text of Fischer smiling with a family of baboons that he had shot. Trevey went on to say that the pictures and words in Fischer's email unnecessarily put at risk the credibility of the Fish and Game Commission and hunting in general. A Fish and Game hunter education manual advises hunters to respect the views of non-hunters, and to refrain from taking photos of their kill and describing the kill within earshot of non-hunters. Trevey closes by suggesting that Fischer take responsibility and resign. Six past fish and game commissioners have said they agree with Trevey's approach to the issue. Fischer told the Idaho Statesman that he did not do anything illegal, immoral or unethical. Fish and Game commissioners are appointed by the governor. A spokesman for Gov. Butch Otter says he is aware and concerned about this.